Whatever the problem, whether it’s a burst pipe or a blocked drain your local team at Plumbers Ranelagh are ready to help. Our staff are specialists in solving commercial and domestic plumbing problems in Ranelagh and the surrounding areas. We are proud to say that we have built our reputation on our excellent customer, affordable pricing and by providing complete customer satisfaction. All of our Ranelagh plumbers are experts within the industry some with over 30 years of experience. We know our repeat clients understand that when we start any work we will always ensure that the job is completed to the highest standards, that’s why they return. 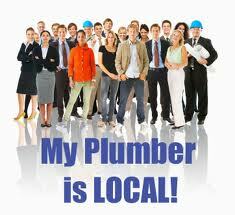 We are fully insured and all of our work comes with our “plumber Ranelagh” parts and labor guarantee for a year. This means our clients sleep soundly in the knowledge they will get excellent results from a high reputable plumbing company. Your local team at Plumbers Ranelagh provide all of the services below and more. •Bathroom plumbing and renovations, including the repair and replacement of sinks, toilets, baths, showers and bidets. We also provide an expert tiling service as required. • Our emergency plumbers Ranelagh team provide a 24 hour service for issues that won’t wait. Irrespective of the time of the day or night we guarantee to be at your premises in less than 1 hour for all emergency situations. • Blocked pipes and drain problems. Our team can quickly and efficiently clear all blockages using drain rods and our high pressure jet flushing unit. • As all of our staff are R.G.I gas safe accredited we can take on all works involving natural gas. • Boilers. Oil or gas we can repair, replace and install all makes and models safely, quickly and efficiently. If required we can disconnect your old boiler and dispose of it. • All central heating services provided. We install and repair water pumps, tanks, cylinders, radiators and thermostats. • Indoor and outdoor taps fixed or installed as required. • We can plumb your entire property from top to bottom for new builds or renovations. You can be certain that if you can’t see the service you require on the list that you local Ranelagh plumber will be able to do it, just ask. Our staff make full use of their extensive experience and knowledge to produce outstanding workmanship no matter the size of the job. Get in touch with Plumbers Ranelagh on 01-6874850 for expert advice and quotes. Our guaranteed time of 1 hour for all emergency plumbing issues, means you won’t be left stranded when you need us most.